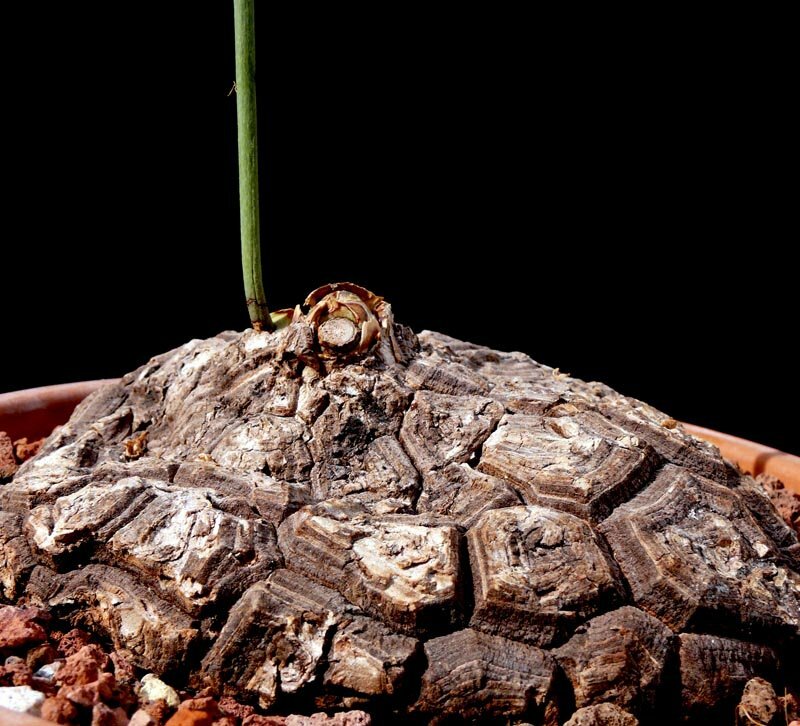 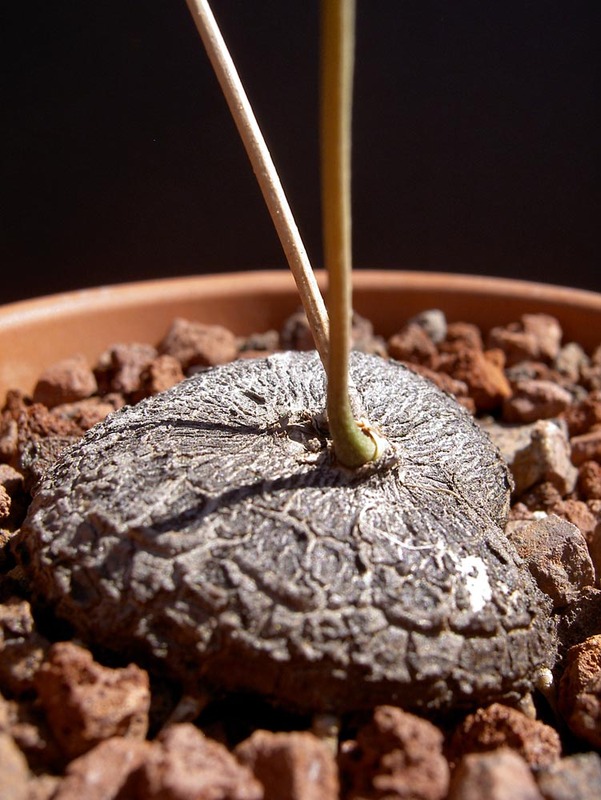 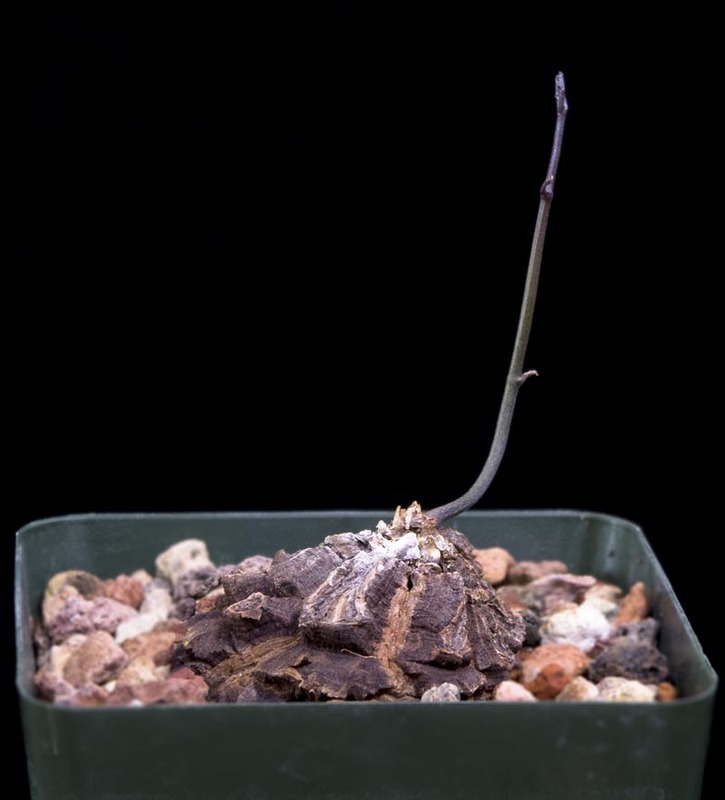 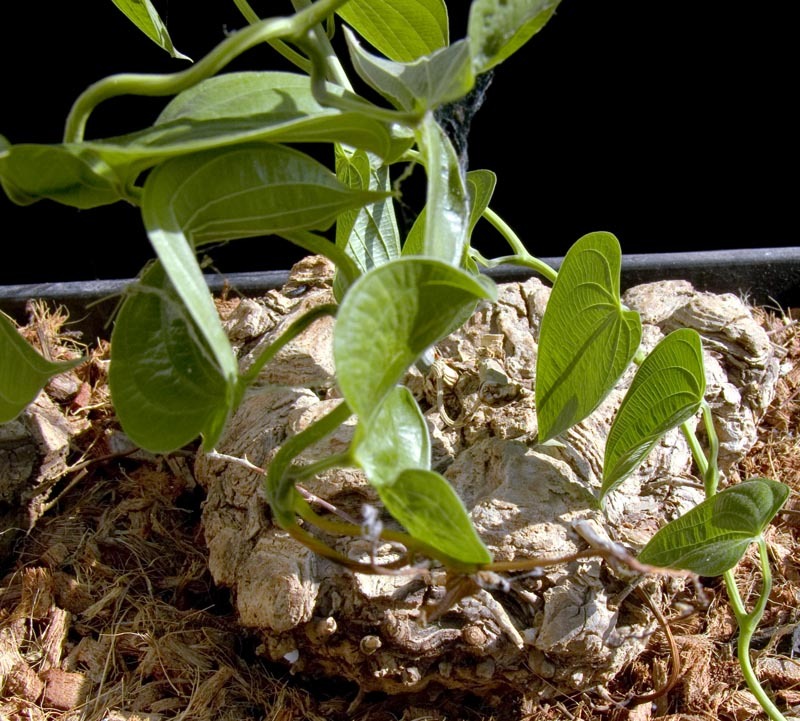 Slowly over decades develops a large caudex, covered in woody scales. 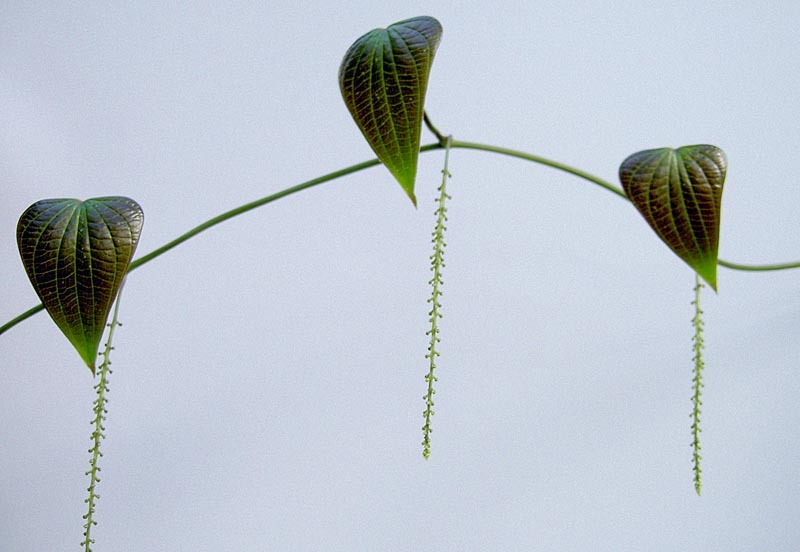 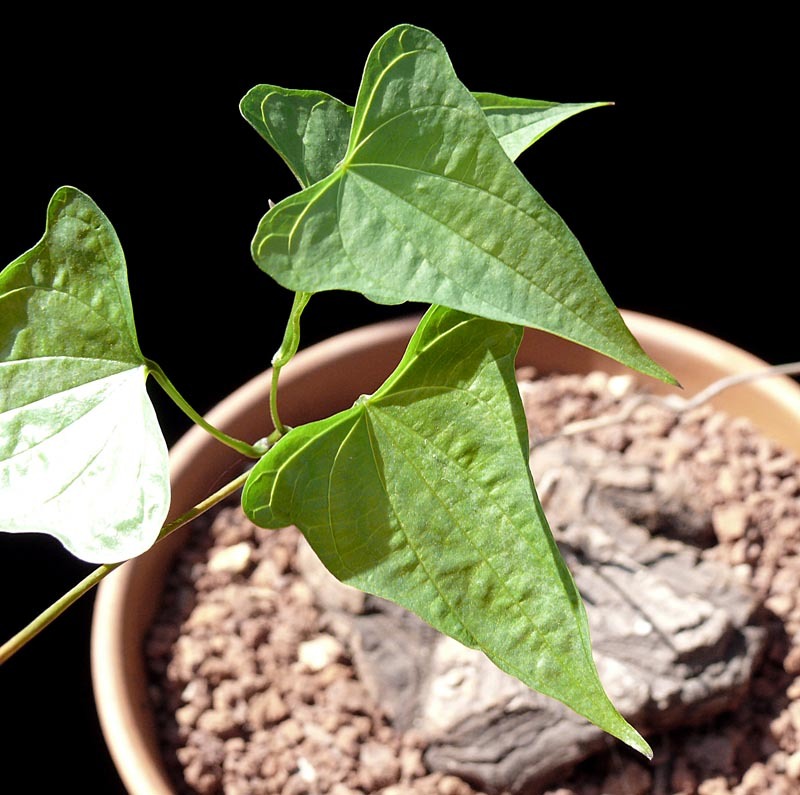 Produces long deciduous vines, pendant bloom spikes. 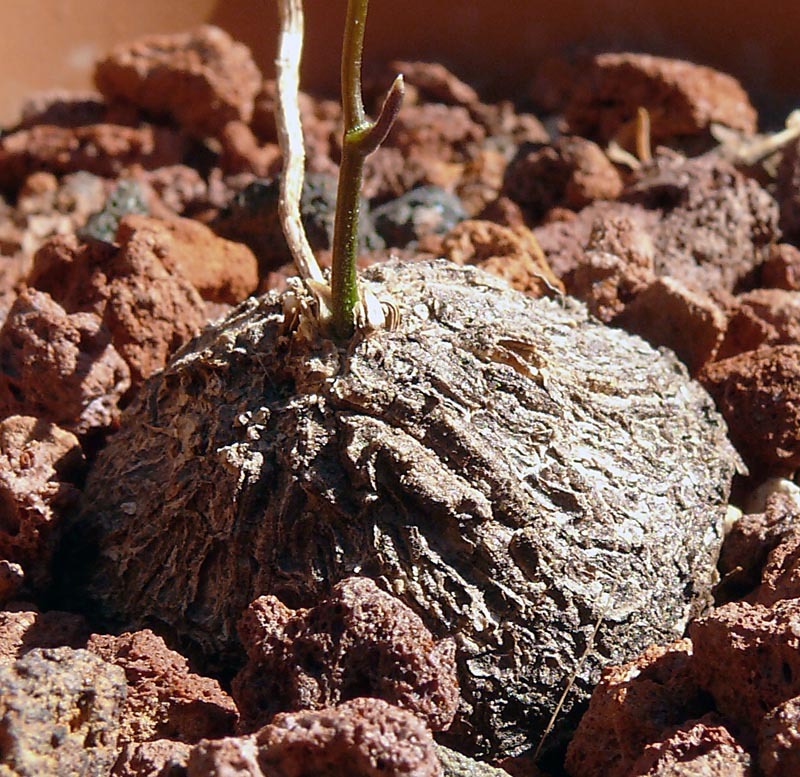 Temperature: Hardy to 20F if dry in winter.